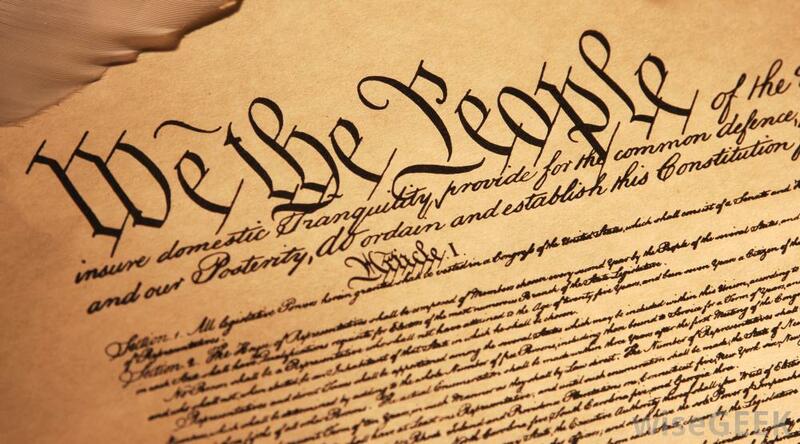 What makes the Seventh Amendment so special? This week, in honor of Constitution Day, the American Association for Justice highlighted 7 unique ways the 7th amendment of the Constitution helped bring about change. What is the Seventh Amendment? It states that our court system is different than almost anywhere in the world – common, every day people have the right to a trial by jury. This means that we have the right to be judged by a group of our fellow US citizens as opposed to just one judge. By keeping and protecting the right to having a trial by jury, we make sure serious disputes – about crime, injuries, money damages, are are decided by our peers. And this amendment gives us, ordinary people, the ability to hold corporations, hospitals and otherimportant, powerful people accountable for their actions when they injure or harm people. And that is exactly what we do as D.C. personal injury attorneys. We help keep doctors, hospitals, HMOs, employers, and insurance companies accountable to bring about change while helping to change the life of someone who was seriously injured by a hospital, in an accident or on the job. If you were seriously injured call us today at (202) 393-3320 for more information on how we can help you. And if you’ve served on a jury – thank you. Thanks for this history that very few people ever talk about. I have served jury duty twice and I enjoyed it. Too many people complain about getting a juror summons, especially because it does not pay anything, or pays very little. That should change. Jury duty should at least pay the minimum wage of the place of jury service, and employers and other tax payers should get a generous tax write-off for the value of lost labor of their workers and employees who serve on juries. Without juries, we'd all be lost. Paying jurors is not a new idea. We pay judges, lawyers, clerks, and others in the court system, so why not jurors? We pay postal carriers EMT’s firefighters, and countless others who work for government, and we don't question their integrity solely because they are paid. Maybe there is a risk that poor or unemployed people would show up more often for paid jury service, but this is exactly who should be there – the “little guy” judging claims of another regular person. As it is, only salaried professionals get a paid vacation from work by serving on juries, and that attracts a higher-income jury who might not relate to a case. I sure hope that if I ever have to sue someone in court it will be after we have done the smart thing and started paying people who really want to be there and work hard listening to the evidence. It would probably make it a lot easier and faster to get a jury together for any case. Thanks, D&K for your website information!